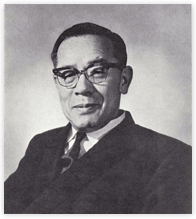 The late Manpei Suzuki, Former Chairman of the Federation of Pharmaceutical Manufacturers' Association of Japan, Chairman of the Board of Directors of Sankyo Co.,Ltd., and member of the House of Councilors, suffered from diabetes mellitus in the last years of his life and wanted very much to promote research on this disease. In keeping with his last wishes, his widow Mitsu Suzuki decided to establish a foundation for diabetes research. Although the number of patients in Japan with diabetes mellitus has steadily increasedin recent years, the classification of the different types of this disease is still uncertain and more studies are needed to clarify the mechanisms of onset and development of this disease. Research on diabetes and related fields is undertaken all over the world, and many excellent results have been obtained in Japan, but morecreative basic and applied studies are required due to the rapid aging of society which will occur in the 21st century. It is essential to encourage excellent young researchers to undertake this work, which can be effectively achieved through exchange of ideas and information, as well as joint research, among researchers in this field both in Japan and overseas. International exchange among researchers will help improve health care technology and develop new health care resources in Japan. This, in turn, will lead to improvements in the prevention, diagnosis, and treatment of diabetes, a disease which affects many people and can have serious consequences for their quality of life. The Manpei Suzuki Diabetes Foundation was established to promote research in the field of diabetology by encouraging young researchers through international contacts. The Foundation aims at the promotion of science and technology and the improvement of the health and welfare of all people. The purpose of the Foundation is to promote research on diabetology by supporting international contact among researchers in this field. Encouraging young researchers in Japan will undoubtedly lead to improved health care and the development of science and technology in this field. [Web site] Click here http://www.manpeisuzukiprize.org.